There’s more than one way to see a polar bear. In fact, you’ll probably be surprised by just how many options are available. 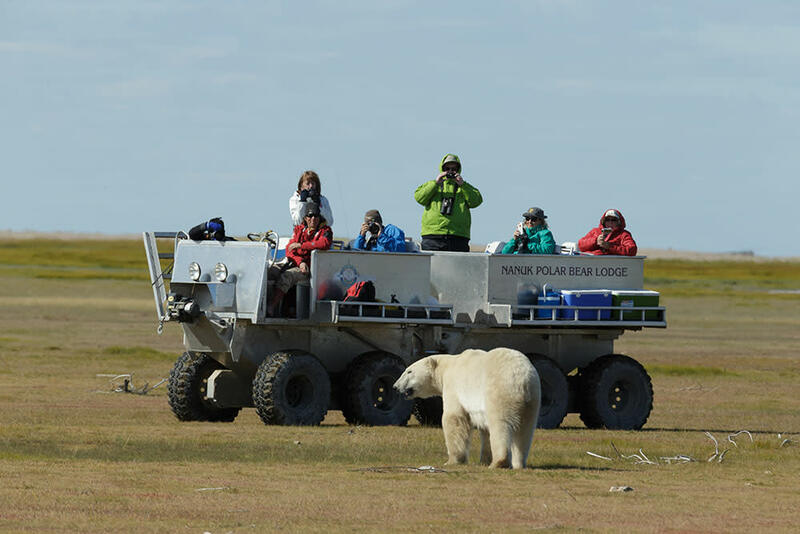 If encountering a polar bear in Churchill – at very a safe distance, of course – is one of those things on your bucket list of activities, here are nine vehicles that will get you as close as humanly possible to witnessing our largest and most majestic land predators. Travel by land is probably the easiest way to see the lords of the Arctic and there are at least five options from which to choose. If you’re dying to see polar bears in their natural habitat, but equally enthusiastic about coming back in one piece after seeing polar bears in their natural habitat, then a tundra vehicle is a great bet. Climb aboard one of these all-terrain vehicles that stand over 13 ft. tall and you’ll feel like you’re the king – or queen – of the world. Even the average adult polar bear standing at about 9 ft. will have nothing on you. 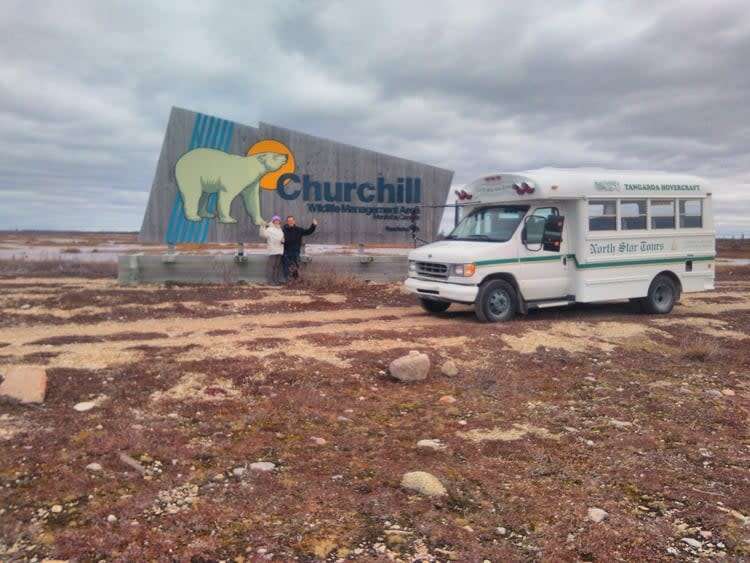 Visitors to Churchill on the quest for witnessing polar bears in their natural habitat don’t usually think of the experience as a safari. The rhino, however, will change that. Think smaller scale, open-air, low-impact tundra vehicle. The rhino works well to navigate the boggy lowlands and tidal flats and gets you closer to your goal of seeing bears. If hands-on experiences and getting up close and personal with nature speak to the explorer in you, then you’ve come to the right place. Churchill is the only place in the world that offers an accessible walking tour. Get ready for the adrenaline rush of your life as you come face to face, eye-level and sans barriers between you and the apex predator of the Arctic. These guided ambles are as good as it gets for getting you so close to these fantastic beasts yet with the safety net of experienced guides having your back at every turn. For the independent traveller not on a fully packaged vacation, but still looking for a more intimate experience, bus tours are a great way to see polar bears at a reasonable distance, capture images that will cement your experience for a lifetime, while comfortably seated with up to 40 passengers. The idea of renting a car to see polar bears may not seem as obvious, but it is doable. Of course if you choose to go this route, we suggest asking for an experienced guide to accompany you on your explorations. If you’re always looking for ways to get out onto the water and you’re also wanting to see polar bears, you can combine your two desires into one amazing experience. 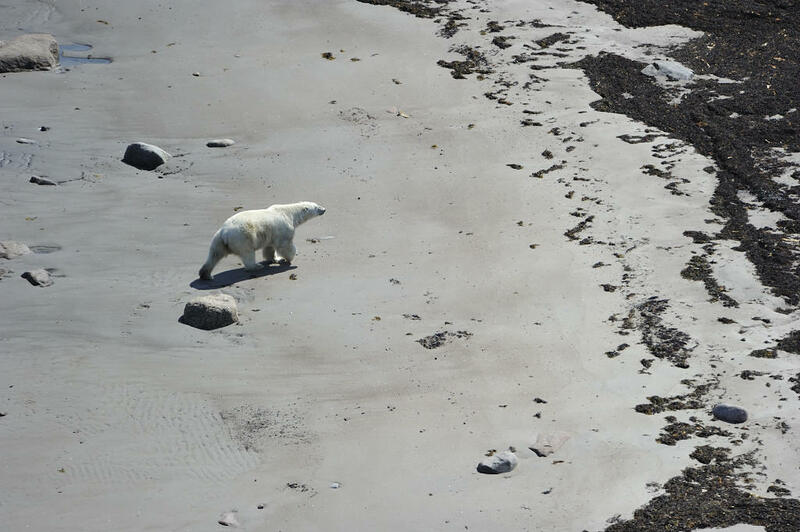 Here are a few great ways for seeing polar bears by water, particularly during the summer months. Named after the 18th century explorer, the Sam Hearne vessel is a custom-built boat made for adventure to the Hudson Bay’s more remote polar bear viewing locations. Not only do you get to see polar bears in their natural habitat, there’s also the bonus of seeing beluga whales feeding and playing along the coastal shore. If you have a need for speed and you enjoy the light splashes and cool breezes on your face, then climb into a Zodiac, head out on the river estuary and keep your eyes peeled; you never know what you’ll find lurking around on the rocky coastline, especially near Prince of Wales Fort. If you’re always thinking outside of the box and looking for ways to one-up your last travel experience, getting up high to view the world down below might just do it for you. So we know you’re in this for the polar bears, but wouldn’t it be kind of cool to see sweeping vistas of this beautifully barren landscape and polar bears?! Helicopter tours offer 60- and 90-minute views with a difference. Think sweeping tundra, thick boreal and taiga forests. These tours are great because they offer the flexibility to move in the direction of the animals’ migration patterns and reach corners where no roads lead. Don’t be surprised if you see a mother bear surrounded by adorable cubs. Upon your arrival in Churchill, and depending on which lodge you’ve decided to make your roost, an additional flight may be necessary to get you to your final destination, which means a chance to see not only polar bears, and possibly other wildlife from the windows of one of these tiny, nine-seat prop aircraft.